A few years ago, I came across this idea to do with each of my children as they go through school. A long-term project for a priceless graduation gift. It is really a simple idea, but it requires you being on top of it for each year they are in school, Kindergarten through Senior year. I know for me, keeping up with something that I have “hidden” from the kids will be a challenge. One in which I’m searching for my daughters as we approach the end of the year because I can’t remember where I hid it last year but I’m sure I’ll find it. 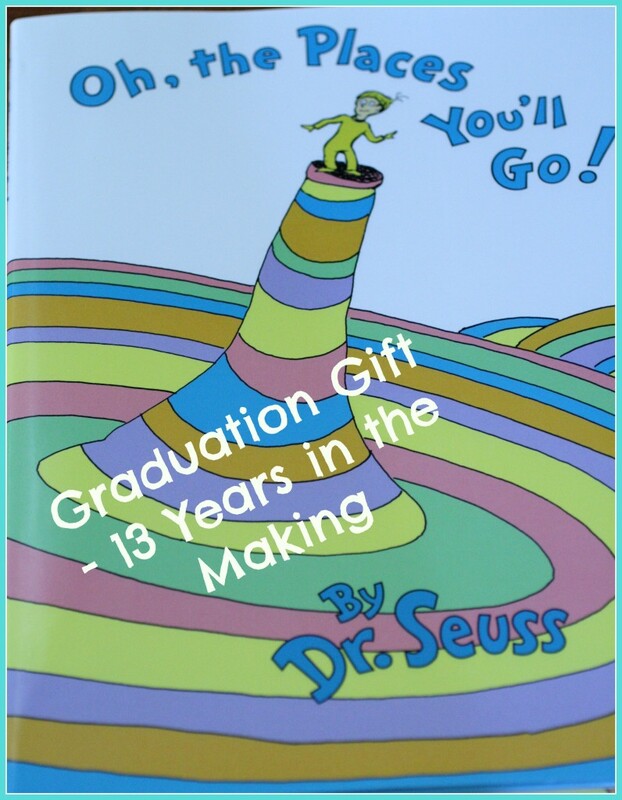 It really is simple, you purchase a copy of Dr. Seuss’s “Oh The Places You’ll Go” and you have each of your child’s teachers sign it over the years, preferably at the end of each school year with an encouraging message or remembrances of that year. I have my child’s name written in the book in case others are participating in this gift for their child as well. I usually sneak the book to the teacher in the last few weeks of school with an instruction note to pick a page of meaning and write a note to my child. They then sneak it back to me in a sealed envelope or I arrange to pick it up. This book will be signed and hidden for 13 years until it is presented to my child when they graduate from High School. Some teachers write a short note and some will go all out like my child’s first grade teacher – attaching a picture of the two of them and writing a long note. It is really up to the teacher. I can honestly say, I had some really great teachers growing up and I wish I had a book with notes from them to remember those years of my life. Some of the years were the best! I hope that my children will appreciate this gift when they graduate and can look back and remember the great years they have had with some wonderful teachers. See – easy and simple but requires you do some sneaking and hiding for 13 years. However, the notes of encouragement and memories will be priceless once given. Do you have other special ways you are remembering all the school years, K-12 for your child? I would love to hear them below! IThe first time I read this was in Spanish in high school. love giving this book as a graduation gift. Your babies will definitely love that gift! Thank you for stopping by. It is such a great book and I got it as a graduation present when I graduated high school many MANY years ago. I hope I can keep up with it for all these years because it will be priceless to them.